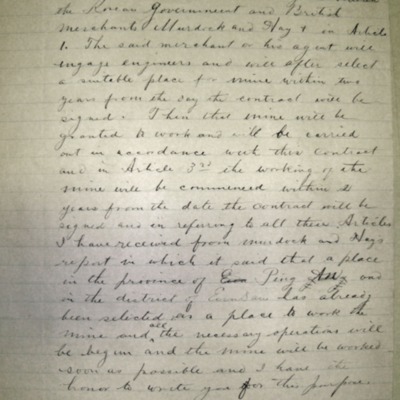 Original Format is exactly "Engraving"
Letter from Jordan, tells of a contract between the government of Korea and the British Merchants Murdock and Hay. 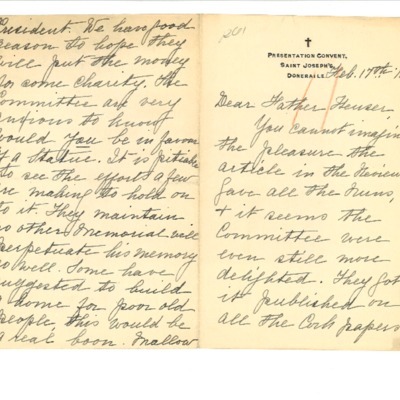 Letter to Heuser from Mother Ita O'Connell. 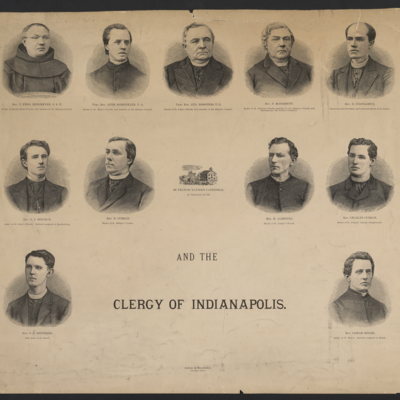 Discusses the Sheehan memorial project and an article published about Sheehan. 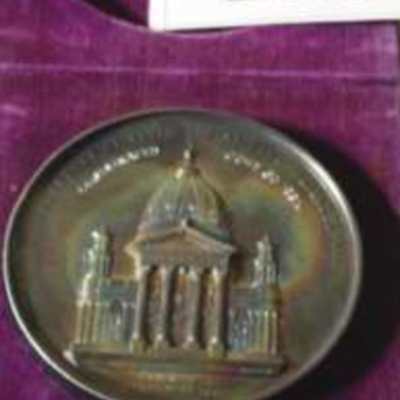 Dies for the Medal of the Cathedral. 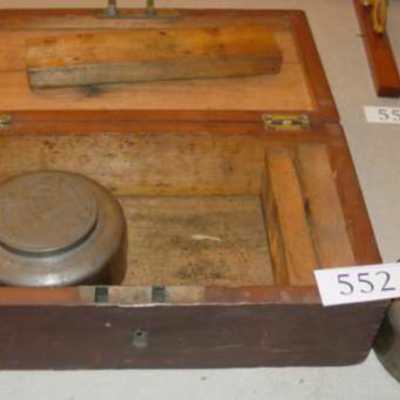 Steel and kept in a large wood box. One has a reverse picture of the exterior of the Cathedral and the other has a reverse picture of the interior of the cathedral. 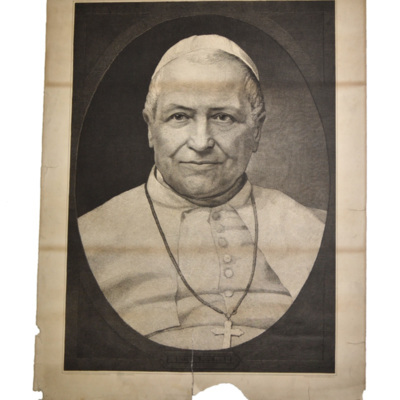 His Holiness Pope Pius IX. 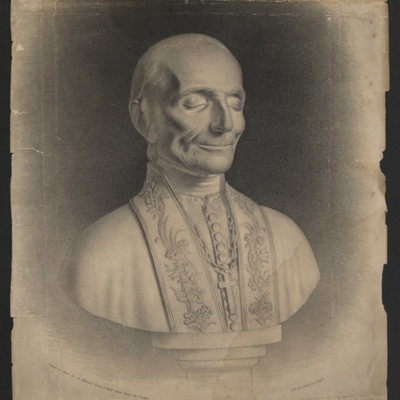 Bust portrait of Pope Pius IX. 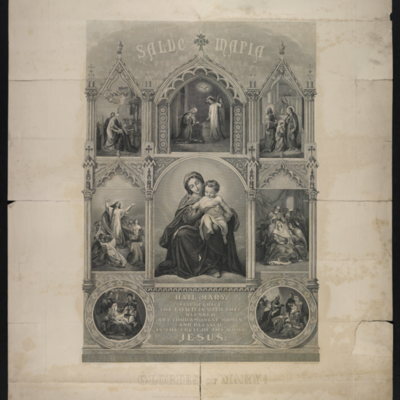 Printed below engraving: "Copyright 1877 by Oscar Marshall, 697 Broadway, New York. All rights reserved. Painted and engraved by Wm. E. Marshall." 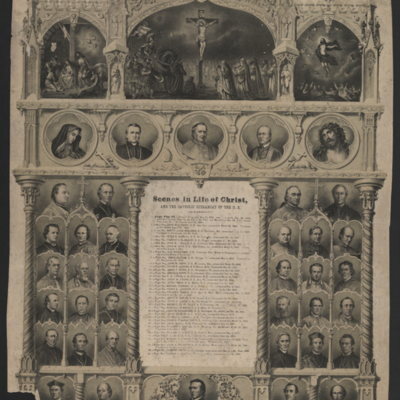 Scenes in the Life of Christ and the Catholic Heirarchy of the U.S.
Rt. Rev. Thomas McGovern. 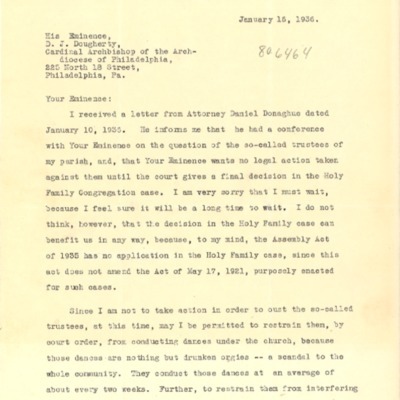 Bishop of Harrisburg, Pa. 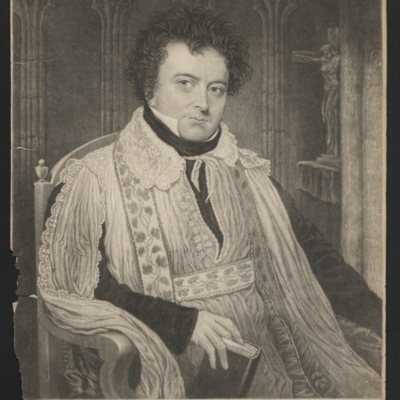 Seated portrait of Bishop Thomas McGovern. 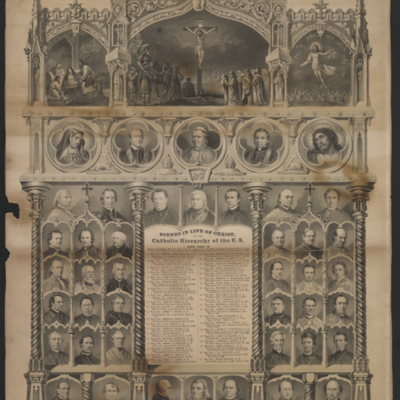 Inscription on back states that it may be from "The Catholic Heirarchy of the United States" (1888). Writing in pencil on recto has been erased. Title taken from verso. Engraver unknown. Bust portrait of Archbishop John Hughes. 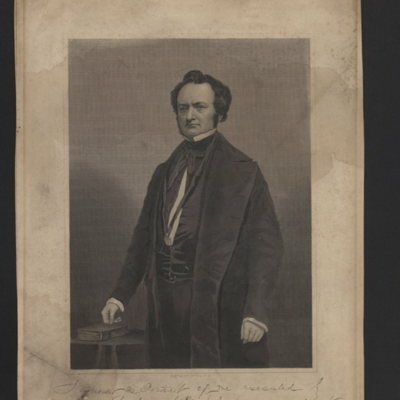 Printed below portrait: "Eng'd by T. Doney"; "New York. 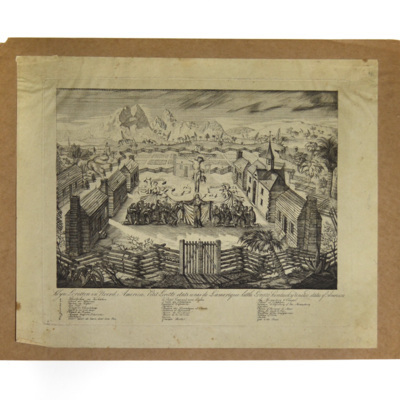 Published by D. & J. Sadlier & Co."
Print depicting the settlement of Little Loretto in Kentucky. 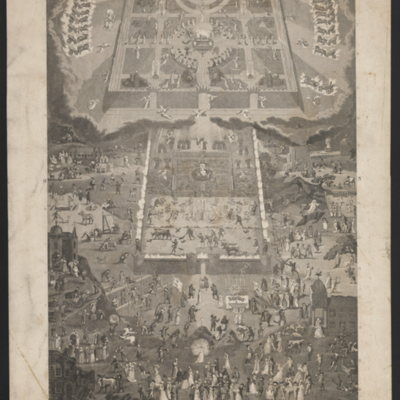 A key at the bottom describes what is depicted in the print. Text in German, French, and English. Creator unknown. 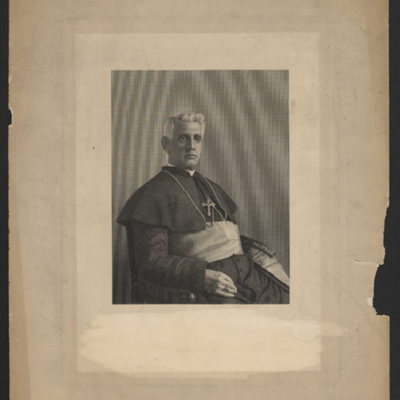 P. J. Ryan, Archbishop of Phila. 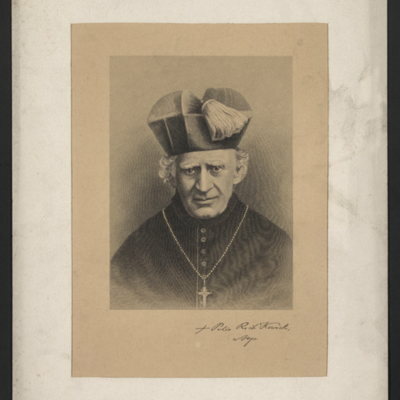 Engraving of Archbisop Patrick Ryan. Artist unknown. Christ [con]versing with the W[o]man of Samaria. St. John. Chap. IV. Verse 7 to 28. 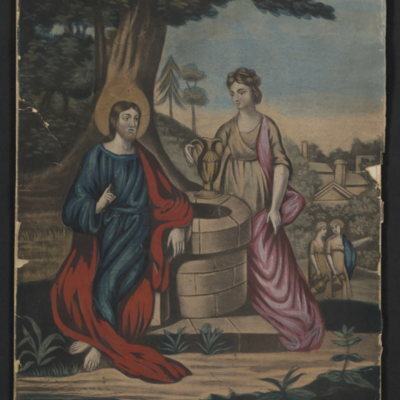 Color engraving showing Christ conversing with the woman of Samaria. Print is glued onto cardboard. Publisher's mark is partially missing. 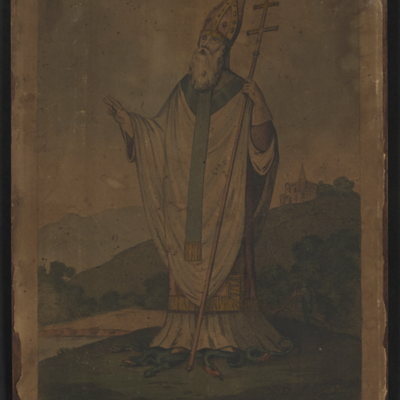 Color engraving of Saint Patrick. Print is glued onto wood. A note on the back states that it was brought to Pittsburgh (Pa.) from Dublin in 1801 (signed E. L. Hendry). 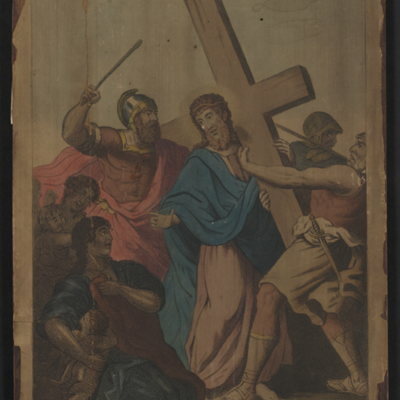 Printed below title: "Published by Le Petit, 15 Capel Street [Dublin, Ireland]". 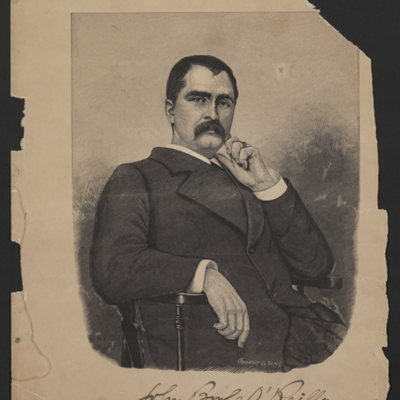 Large portrait engraving of John Boyle O'Reilly (1844-1890). 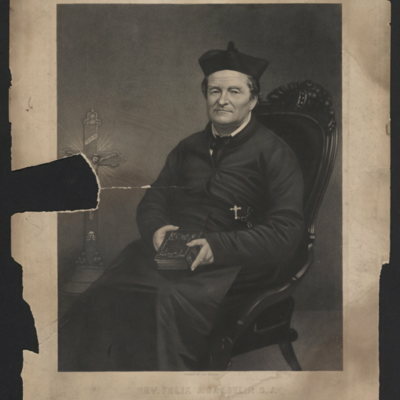 Engraver's mark in lower right corner reads "Connelly-Co. S[-], N.Y."
Portrait print of Rev. John Power. Printed below engraving: "[Pain]ted by Geo. 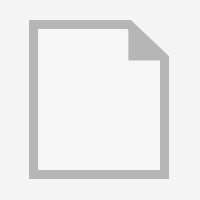 W. Twibill" (partially missing); "Engd. on steel by S. H. Gimber". 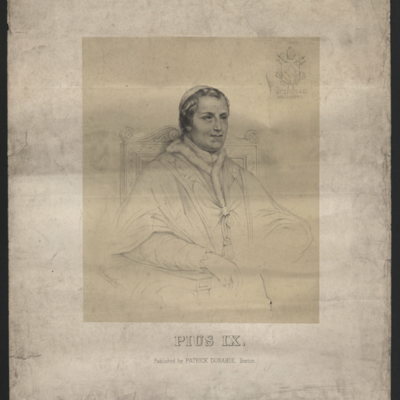 Engraving of a sketch of Pope Pius IX with Papal Seal in upper right hand corner. Signed "O. Starlz[??]" 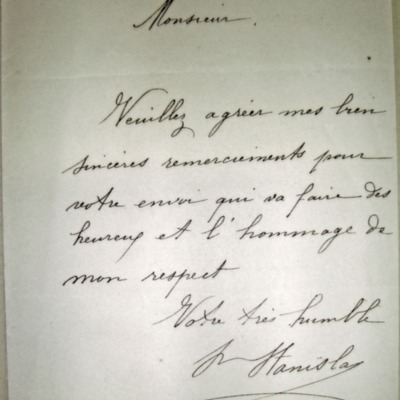 [signature illegible] in lower left corner. Published by Patrick Donahoe, Boston. 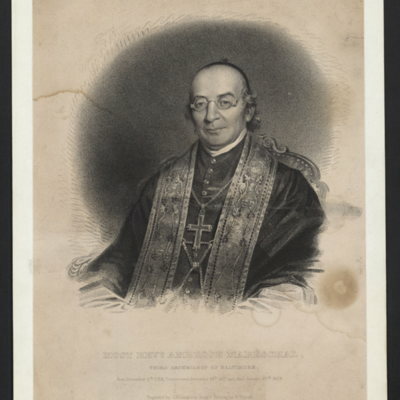 Engraving of portrait of Reverend Ambrose Mareschal, third Archbishop of Baltimore, MD (1817-1828). Printed below engraving: "Engraved by J. B. Longacre from a Painting by P. Tilyard." Rev. 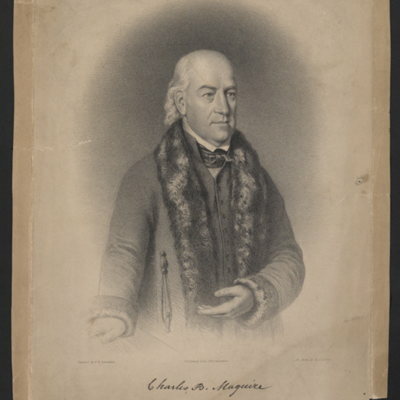 Charles B. Maguire, D.D. 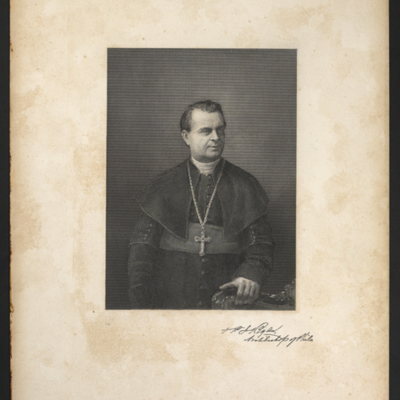 Former pastor of the Catholic congregation of Pittsburgh, Pa.
Engraving of portrait of Archbishop Kenrick of St. Louis, MO (1847-1896). Creator unknown. 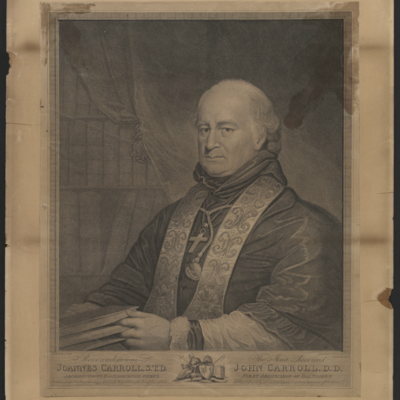 Engraving of first Archbishop of New York, NY (1850-1864). Printed below engraving: "A. B. Walter, Eng. Pub. by Thos. Coleman, 1440 N. 2nd St. Phila." 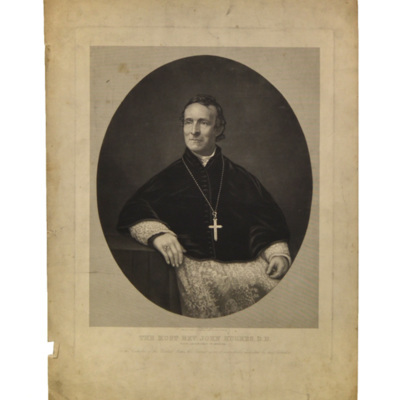 Engraving of portrait of Archbishop John Hughes of New York, NY (1850-1864). 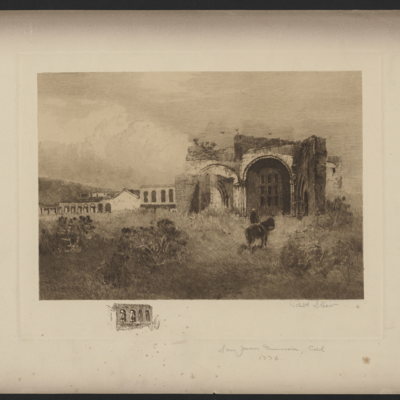 Printed below engraving: "Engd. 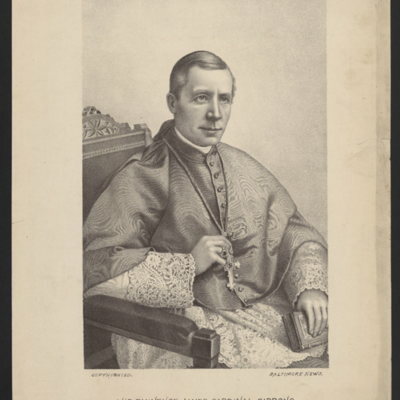 by T. Doney"; "New York, Published by D. & J. Sadlier & Co."
Engraving of portrait of Cardinal Gibbons of Baltimore, MD (1877-1921). Printed below engraving: "Copyrighted. Baltimore News." Rev. 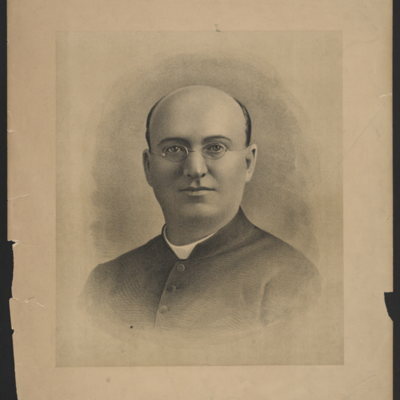 Felix J. Barbelin, S.J. 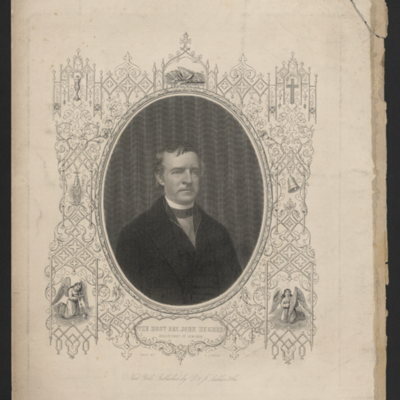 Portrait engraving of Rev. Felix J. Barbelin. 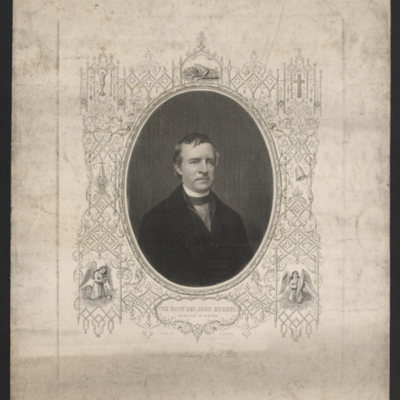 Printed below engraving: "Engraved by A. B. Walter". Printed below title: "Published by T. Coleman, 1440 North Second St., Phila". 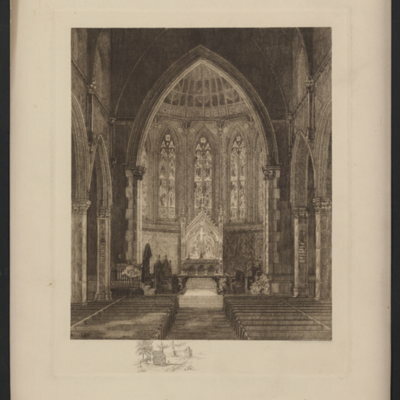 Engraving of sketch of interior St. Peter's Church, Albany, NY. Signed by E. F. Faber (signature is backwards in bottom left corner). 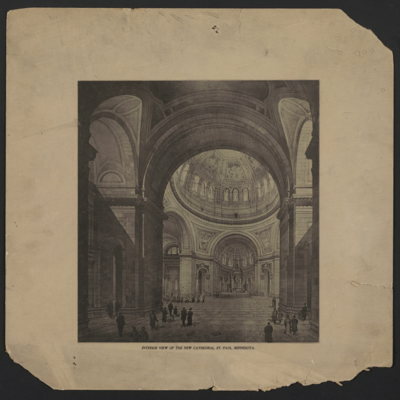 Engraving of sketch of interior of St. Paul's Cathedral, St. Paul, Minn. Creator unknown. 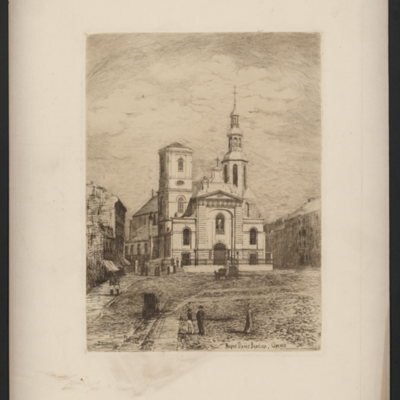 Engraving of sketch of Church of Notre Dame des Victoires in the Lower City, Quebec City, P.Q., Canada. Signed by E. F. Faber in bottom left corner. 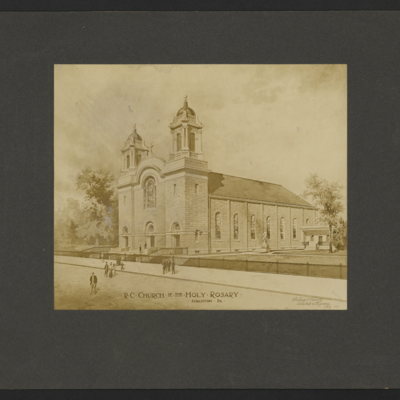 Printed on verso: "Church of the Notre Dame des Victoires, Lower Town, Quebec, Can. 1680." 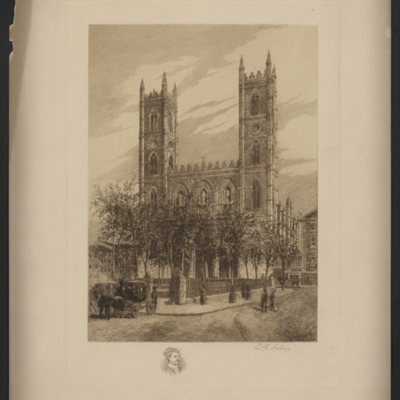 Engraving of sketch of Notre Dame Basilica, Quebec City, P.Q., Canada. Signed in bottom left corner: "Etched by B. Magill". Published by H. L. Everett. 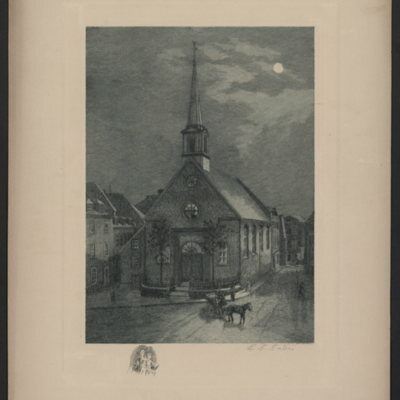 Engraving of sketch of Notre Dame Church in Montreal, P.Q., Canada. Signed by E. F. Faber in bottom right corner. 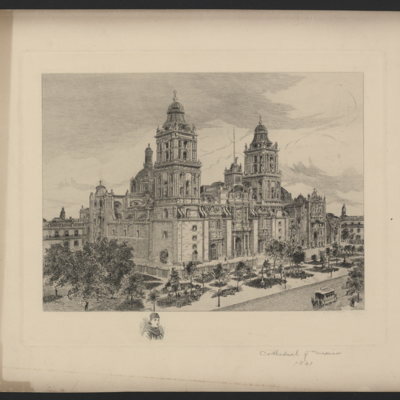 Engraving of sketch of the Cathedral of Mexico, Mexico City, D.F., Mexico. Signed by E. F. Faber in bottom left corner (signature is backwards). 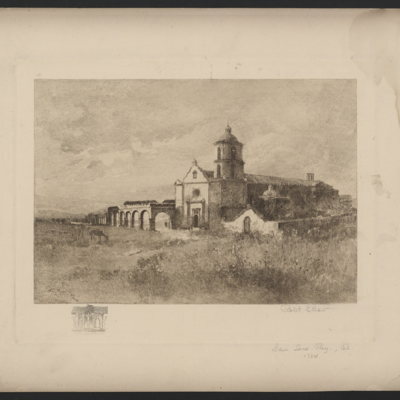 Engraving of sketch of Mission of San Luis Rey, Ca. Signed by Robert Shaw in bottom left corner. 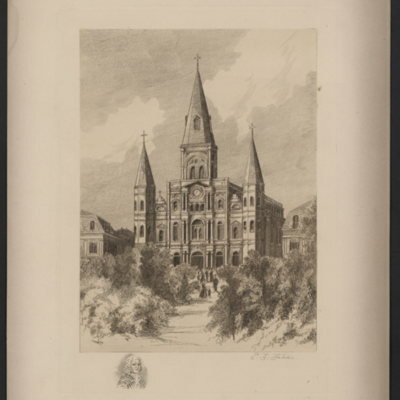 Engraving of sketch of St. Louis Cathedral, New Orleans, La. Signed by E. F. Faber in bottom left corner (signature is backwards). 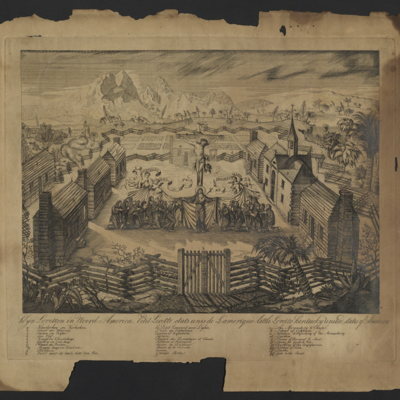 Engraving of sketch of Mission of San Juan Capistrano, CA. Signed by Robert Shaw in bottom left corner. 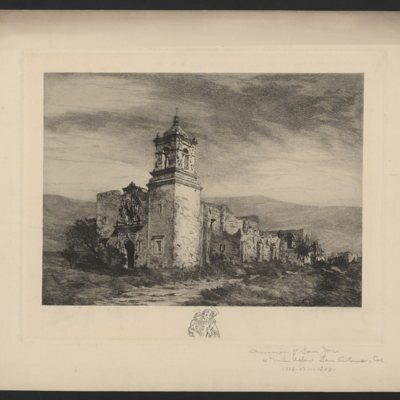 Inscribed on verso: "Mission of San Juan Capistrano, Cal - 1776 - between Los Angeles and San Diego." 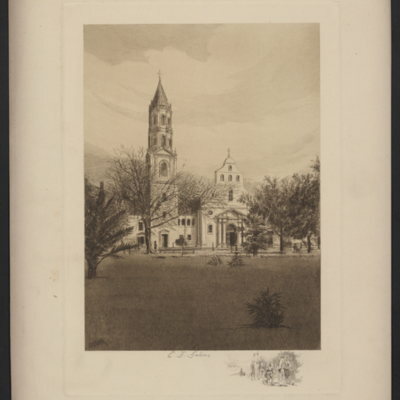 Engraving of sketch of St. Joseph's Cathedral, St. Augustine, FL. Signed by E. F. Faber in lower left corner. 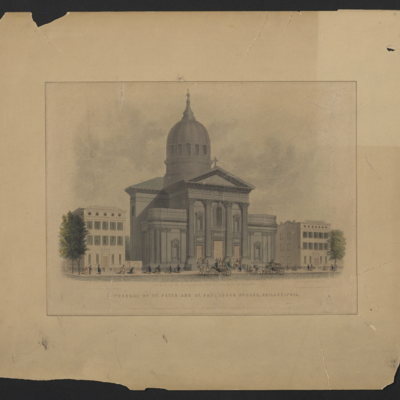 Engraving of sketch of Holy Trinity Cathedral, Quebec, Canada; consecrated in 1804. Signed by E. F. Faber (signature in bottom left corner is backwards). R.C. 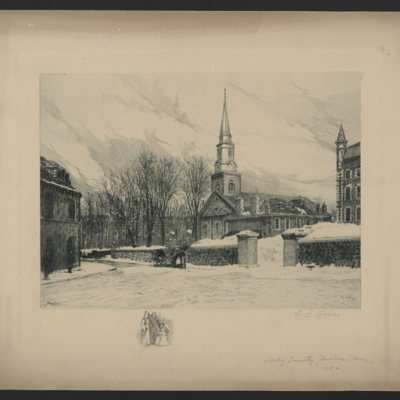 Church of the Holy Rosary, Scranton, Pa.
Engraving of architects' sketch for Holy Rosary Church, Scranton, Pa. Signed and dated in bottom right corner of print: "Ballinger & Perrot, Architects & Engineers, Phila., 1912". 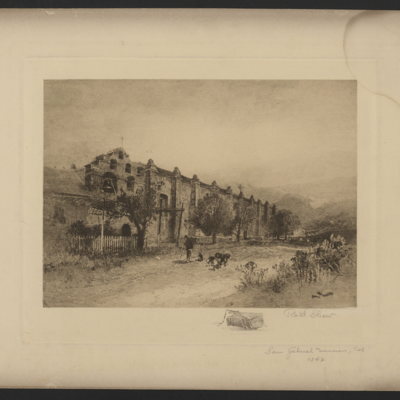 Engraving of San Gabriel Mission in San Gabriel, Ca. ; founded in 1771 by Spanish Franciscans. Signed by by Robert Shaw in bottom left corner.